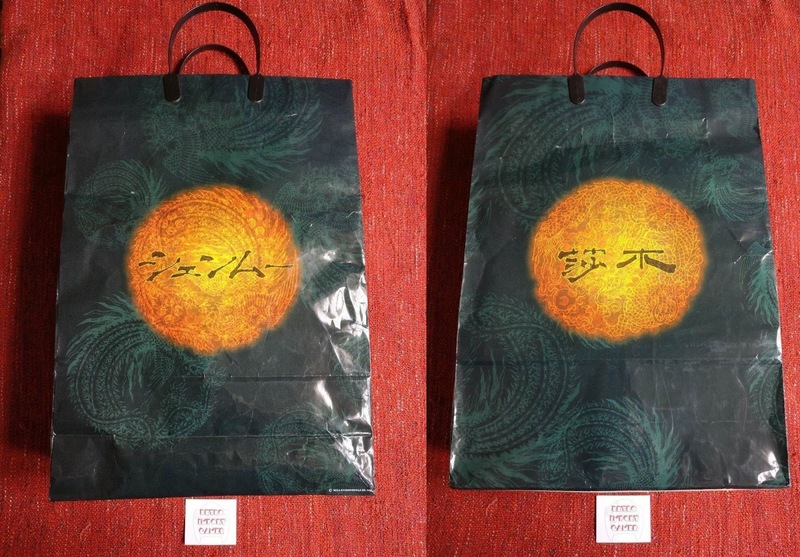 Today we take a look at the remarkable Shenmue premiere bag that was handed out to attendees at the premiere event in 1998/1999. The Shenmue Premiere event was held in Japan and the end of December 1998 in Yokohama, with additional events through the New Year in cities through-out Japan. The expectation and excitement was huge, as it would be the first time the general public would get a decent look at Yu Suzuki's new game, one that had been the source of much speculation in the preceding months. 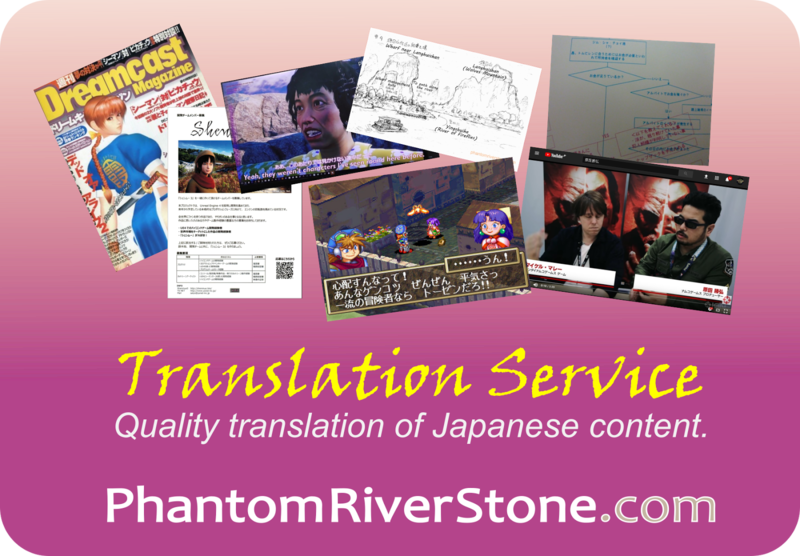 A promotional leaflet illustrating various additional Shenmue-related merchandise for sale such as posters, mugs, pens and calendars. A questionnaire form about the event. 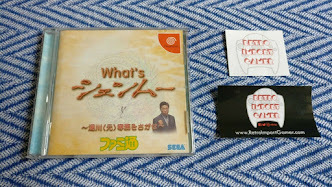 Those who submitted this feedback form to Sega received a Dreamcast magnet! 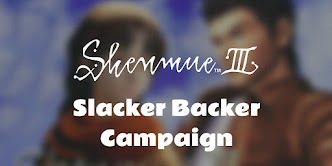 We will be covering each of these items in more detail in future posts, but this time we'll examine the Shenmue premiere bag that the items came in. The bag oozes quality and attention to detail. It is black in color with illustrations of mirrors in green in the background wrapping around on all sides (including the narrow sides). There is a large mirror motif in yellow/orange in the center, overlaid with the Shenmue logo. One side has the logo in the Japanese katakana alphabet and the Phoenix mirror design, and the other has the kanji version of the logo over the Dragon mirror. It is the size of large shopping bag and is made of sturdy card material with a waterproof protective coating, and has strong black plastic handles. Written discreetly in white at the bottom of one of the sides are the words "© SEGA ENTERPRISES, 1988". 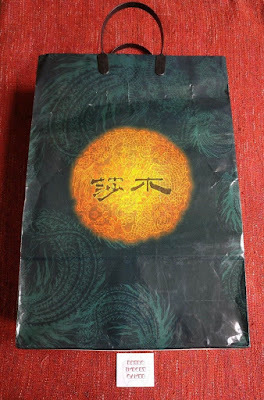 You can almost feel the excitement and anticipation that attendees at the premiere events must have felt from the moment they stepped through the doors into the event hall and were presented with this bag, full of Shenmue goodies, before moving down the aisle to find their way to their seats. While some of the items that were given away at the premiere event are seen more frequently, the bag itself is not often seen for sale nowdays. Our friends at Retro Import Gamer (who provided the photos for this article) have managed to obtain one of these original Shenmue premiere event bags, offering the chance to own a fantastic piece of early Shenmue history for your collection. It is up on their Ebay store now, and ships from the UK. 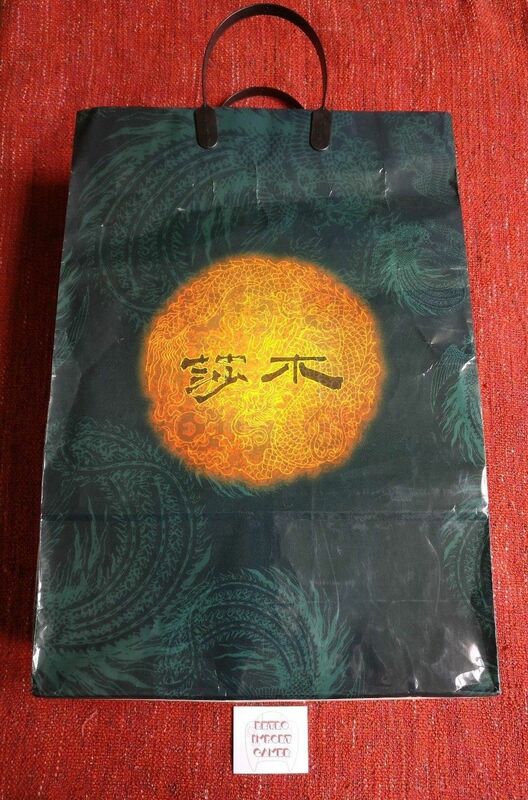 Link to the Shenmue Premiere bag on Ebay.